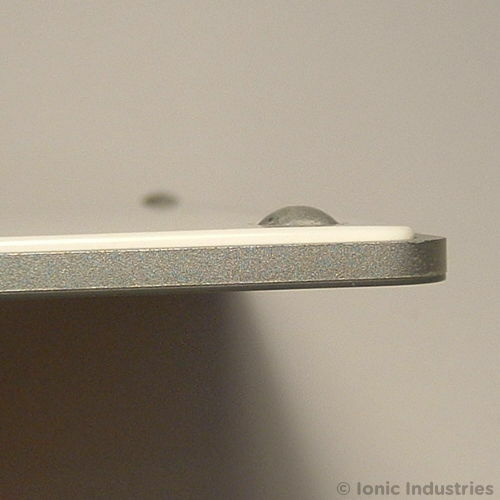 In this guide we show you how to replace one or both of the rubber feet on your Apple Magic Trackpad. The feet need replacing to maintain the clicking function of the trackpad. When you press down on the touchpad the feet retract slightly triggering a switch which then sends a ‘mouse-click’ signal to your computer. If the feet are missing then this click functionality will be lost. 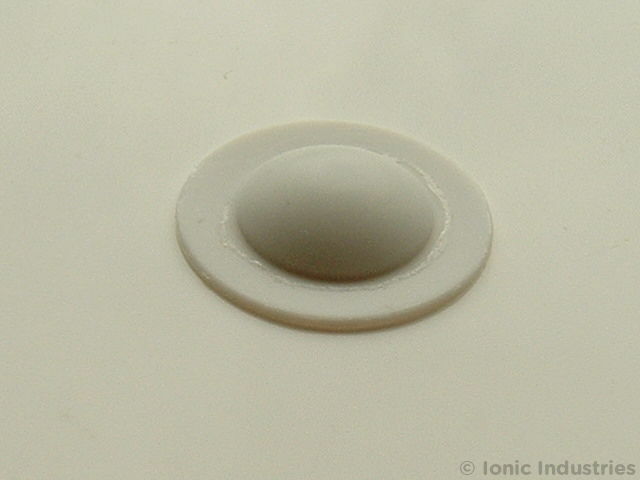 Unfortunately, genuine replacement feet are not available from Apple but we have found some suitable replacement feet for the Magic Trackpad of the correct diameter and height. 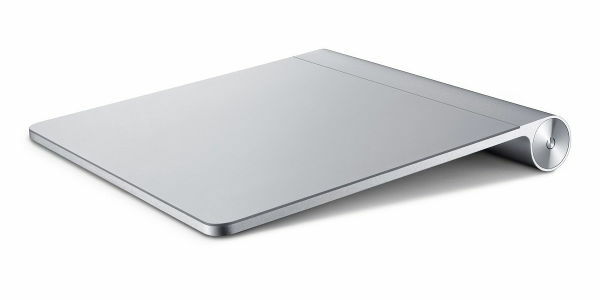 This tutorial applies to the original Apple Magic Trackpad only, not the later Trackpad 2. 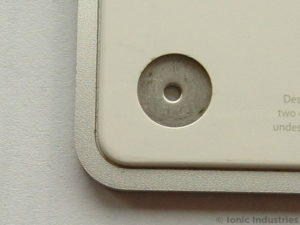 The original Apple Magic Trackpad has model number A1339 or MC380 marked on the bottom plate of the trackpad or on the original box. 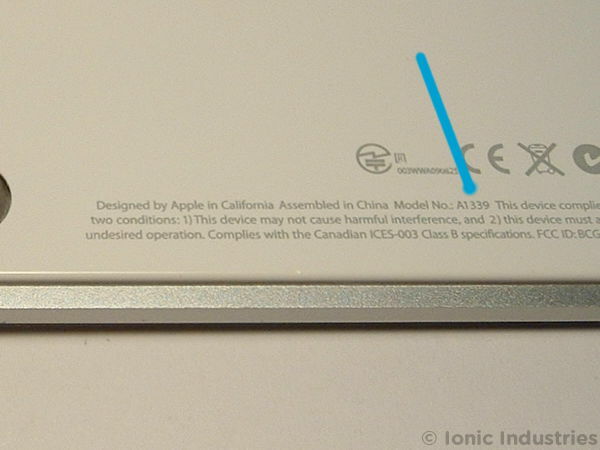 Click on the photo below to see the model number marked on the white plastic plate under the trackpad. This is documented below in detail. Click on any photo to enlarge it. Any damage to yourself, your device or anything else is entirely your responsibility. This guide is for professional, educational purposes only and is offered without guarantee or liability. 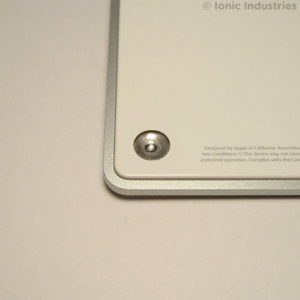 Pair of replacement feet for the Apple Magic Trackpad available on eBay here. These are the correct diameter to fit in the hole and the same height as the original feet so they will click correctly and won’t unbalance your trackpad. If the foot or feet you want to replace are already missing then skip to the next step. Otherwise, if you are replacing a damaged or worn foot gently pry it out of the hole using fingernails, a plastic tool or by careful use of a small screwdriver. The original feet are made up of a solid centre piece with a soft membrane over the top which extends outwards. Unfortunately this soft membrane can tear and either allow the whole foot to be pulled out and lost or allow the solid centre to escape. Sadly, Apple do not supply original replacements. There will probably be some sort of adhesive or residue on the metal plate at the bottom of the hole. 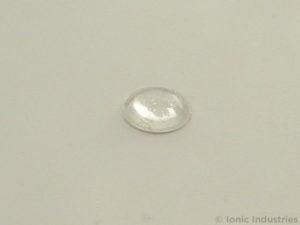 Clean this off using a cotton bud (Q-tip) soaked in clear alcohol or other mild solvent. You can also check that it makes a click when you press on the metal plate. Peel one of the replacement feet you bought off its backing. Carefully stick the foot into the centre of the hole and press it firmly into place making sure that it does not touch the surrounding white plastic panel. If it is touching the white panel then it could rub and either not click correctly or jam the switch plate in the up or down position. The photo below shows a side view of the replaced foot. 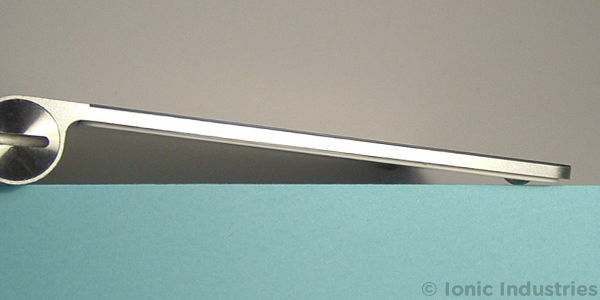 The replacement feet available through our eBay link are the same height as the original feet so if you only need to replace one foot the trackpad will still sit level on your desk and both feet will click correctly. And that’s it! You should now have a fully repaired Apple Magic Trackpad with two fully working and clicking rubber feet attached. Please leave any tips, comments or questions below.